Over a quarter of a million copies sold! This completely revised and updated anniversary edition explores the most damaging lies we believe, twelve core truths for emotional health, and how to be transformed by the renewing of your mind. 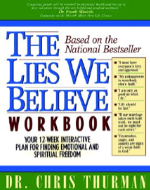 The Lies We Believe has group discussion questions at the end of each chapter and is designed to be used in tandem with The Lies We Believe Workbook for maximum effectiveness. 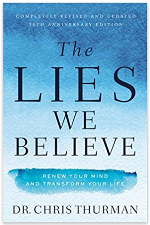 This newly revised and expanded edition of The Lies We Believe Workbook helps you apply what you learn in The Lies We Believe so that you can renew your mind and experience personal transformation. Each chapter of the workbook drills down more deeply into the lies you believe, the truths you must believe, and how to be "doers and not just hearers only" of biblical truth for personal growth. We all have a distorted view of God. 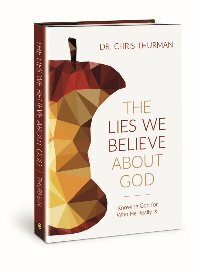 This book explores ten ways of thinking about God that cause us not to see Him for who He really is and damage our relationship with Him. It goes into the core attributes of God so that we can know Him more deeply and love and enjoy Him more fully. Every couple suffers from faulty ways of thinking about marriage. This book takes you into the ten most destructive beliefs a couple can fall into about this most sacred of all relationships and the truth that can set us free to experience a loving, intimate relationship with our spouse. What would Christ say if He were your counselor? This book takes you into His "office" for help on crucial issues such as forgiving others, making internal "heart" changes, taking personal responsibility, and how to "agape" love the people in our lives.